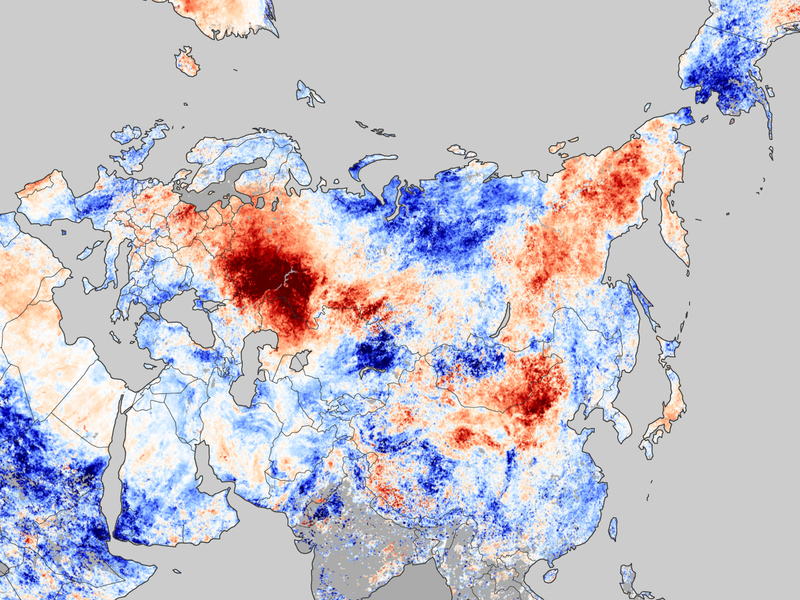 Checking out daily maximum temperatures in Moscow during the previous two months and comparing them with those last year made clear that they were about 10 centigrades higher. NASA has proof for this guess. The dark red areas were 12 degrees hotter as usual. Other parts of the world, including Nord Norge, were essentially cooler than normal. Last update August 10, 2010. This entry was posted in Science and tagged climate change, NASA. Moscow, satellite image. Bookmark the permalink. Yup the high temperatures in Russia prove global warming!